Custom, durable, heart-shaped rubber bracelets. 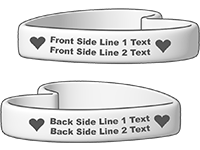 Our unique heart-shaped bands come with all the features of standard bands and maintain their heart shape on or off the wrist. Comfortable, long-lasting, and eye-catching, they are sure to make a statement. 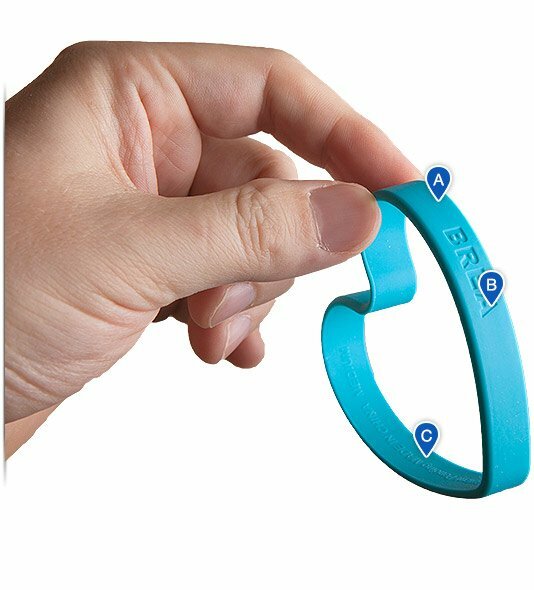 All about ordering high-quality, custom heart-shaped wristbands from Reminderband. Our durable, customizable wristbands now come in a heart shape! Heart bands are the same width, thickness, and high quality as our standard bands. Perfect for promoting heart health or a gesture of love, or just for a band that stands out from the crowd. Available in two sizes and stock colors or camouflage or multicolor. Custom colors are also available. View pricing chart, or see it in action in our 3D viewer at right (lime green with white color-fill text).